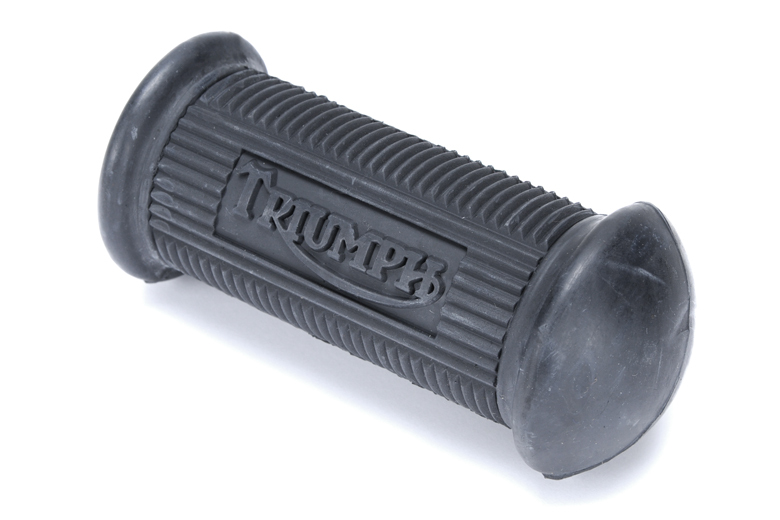 Rubber Foot-rest, Rocker Type with Triumph Logo. Hole diameter is 5/8" Tapered. 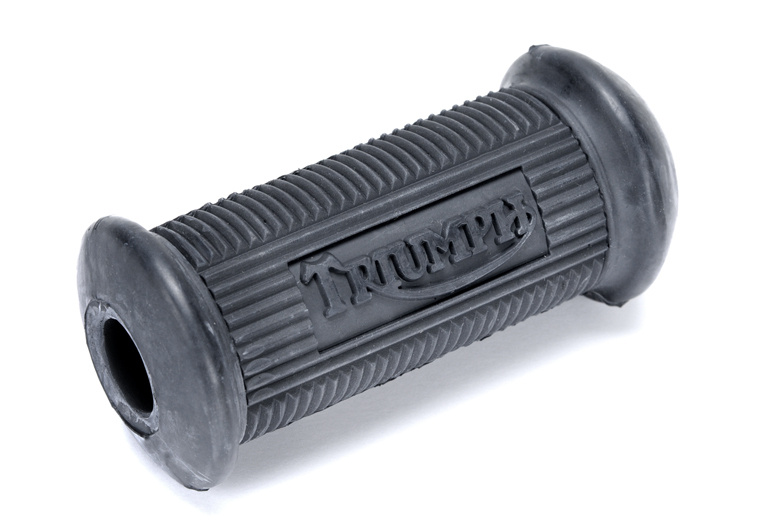 Slot is 7/8" long.